Pearl two side brooch and 5 line pearl necklace with stone rings. 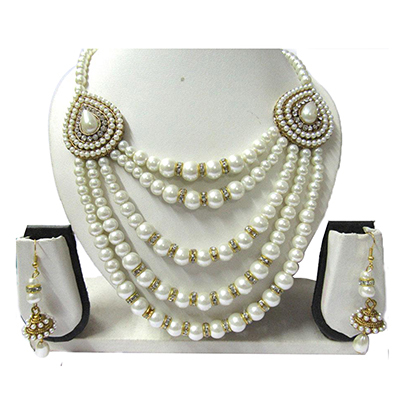 This beautiful necklace comes with small jhumka as shown. Pair it with your favourite matching attire. Material Used : Stone and Pearl.